This is a brand new release from Fortis in a limited edition of 100 pieces and features a steel bezel. Fortis has also created the same watch with a ceramic bezel in a limited edition of 100 pieces. The idea behind this watch is to commemorate the 50th anniversary of the Soyuz 3 mission, launched on October 26, 1968, which became the program's first successful manned mission. The first thing that will grab your attention on this new watch is the dial. At first glance the dial appears to be an ordinary "panda" design, but hold this watch at an angle and you will begin to appreciate both the depths of colors and the actual colors used. Fortis has created a dial completely coated in SuperLuminova which will glow green at night, and used raised beige indices to offset the white color. The subdials and outer ring are all in black. The Fortis Classic Cosmonauts Chronograph Steel Limited Edition features a 42 mm case with complete chronograph functions and a steel bezel. This stainless steel bezel complements the case design and finish, providing balance to the watch as a whole. 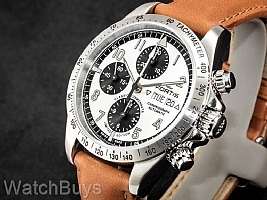 Integrated into the bezel is a tachymeter which can be used for speed calculations. 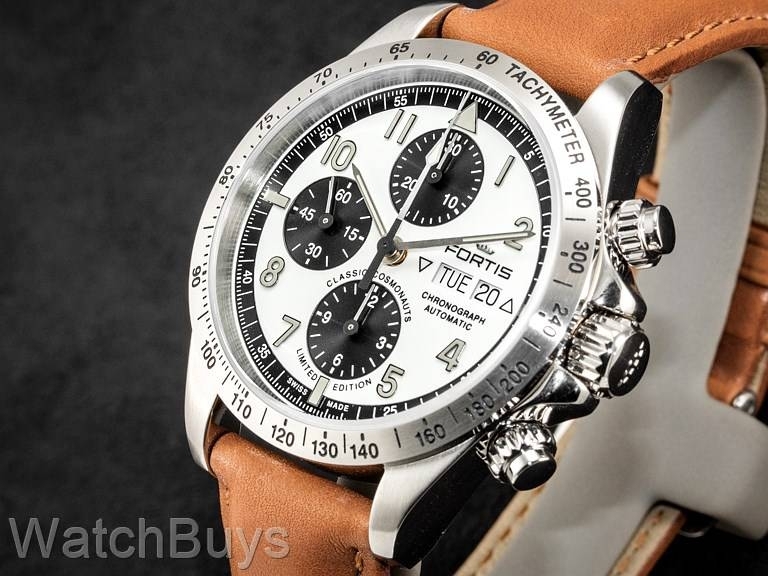 This watch is fitted with a Fortis tan calf leather strap with signed Fortis steel tang buckle.